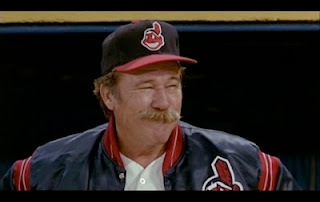 Fan favorite James Gammon, who played the seasoned manager Lou Brown in the classic Major League died Friday from cancer at the age of 70 in California. Gammon mastered the gravelly voiced tobacco chewing manager to perfectly compliment Charlie Sheen, Corbin Bernsen, and Wesley Snipes' eccentric personalities. His weathered veteran persona was just the leader that rag-tag group needed to go from worst to first. One of Major League's legacies over the past two decades has been its often-quoted one-liners. While many reach for lines from Bob Uecker's "Harry Doyle" character, it was Gammon's memorable, "You may run like Hayes, but you hit like s--t," zing to Snipes' "Willie Mays Hayes" that continues to get laughs with multiple generations. 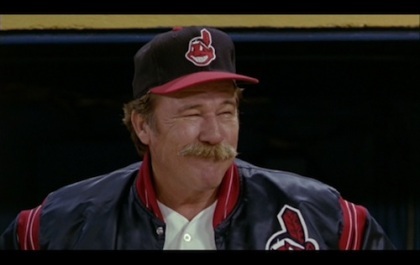 What was your favorite Lou Brown line from Major League? Leave a comment below. I don't remember the exact quote, but at the beginning of the movie when he's offered the job of managing in the majors, he says "I'll have to let you know after I price out a set of whitewall tires"